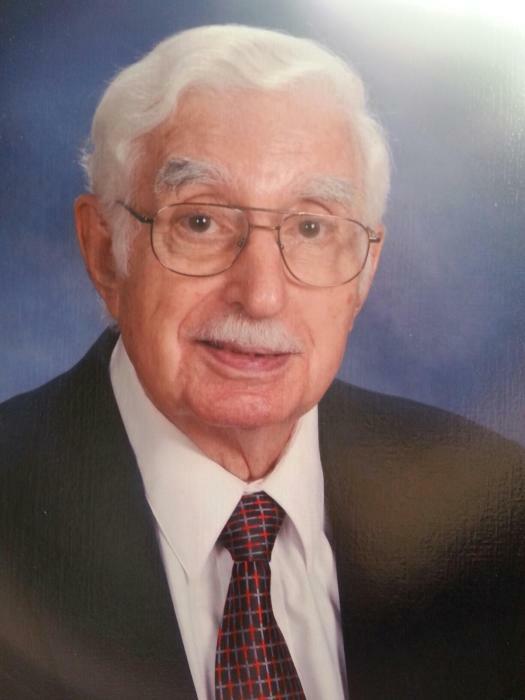 Obituary for George Papajohn | Drinkwine Family Mortuary, Inc.
George Papajohn passed away March 24, 2019 at the age of 91. He was born on February 6, 1928 in Sioux City, Iowa. The eldest son of Greek immigrant Angelos G. Papajohn (dec. 1975) and Selma E. Nelson (dec. 1996), George had 3 younger siblings, Helen Palmisano of Upland, CA, John Papajohn (dec. 2010) of Covington, KY, and James Papajohn (dec. 1983) of Sloan, Iowa. After he graduated from high school George enlisted in the US Army Air Corps on his 18th birthday, 1946. Through high school he was known as George Angelos Papajohn. During the enlistment process he learned that his middle name had been omitted on his birth certificate. He was stationed at Ft. Snelling Minnesota. The Air Corps became the US Air Force in 1947. During a training flight at Randolph A.F.B. in San Antonio, George incurred a ground loop in his T34 trainer, crashing and ending his career as a pilot after flying in World War II and Korean War. His next deployment brought him to Denver, and was stationed at Lowry A.F.B. There he met and married Clova Joy Jones (dec. 2003). Together they had 3 children, G. Michael, David and Barbara. After he was discharged as a Sargeant, he began a long civilian career working for the Air Force at Lowry A.F.B. until 1985 when he transferred to Randolph A.F.B. There he was involved in foreign military equipment and traveled to Bahrain, Saudi Arabia, France and China before he retired. George was a Past Master Mason at Lawrence N. Greenleaf Masonic Lodge in Denver. He also belonged to the Englewood Chapter of Royal Arch Masons and the Araphoe Council of Cryptic Masons. George raised homing pigeons, training for races with other enthusiasts, clocking in each bird after a flight of 100 miles or more. That hobby gave way in the early 1980s to raising and showing his bloodhounds. When asked why bloodhound he'd reply that they had jowls like he was getting. Dedicated to the community, George spent several years volunteering and serving with the Arapahoe County Sheriff's Department as a member of the Posse. Occasionally he served with his future son-in-law, Parris Bradley. It was during this time George became a student attending Arapahoe Community College and earned an Associate Degree in Criminal Justice. He joked about being the oldest kid in class. In retirement, George was more than a member of the congregation at church. He served on the building committee, helped with the thrift shop and sang in the choir. As a member of the Seniors group, he went on cruises, participated in weekly Bible study as well as playing Mexican Train every week. George is survived by his sister Helen, sons G. Michael and wife Chris Papajohn, David and wife Cindy Papajohn, daughter Barbara and Parris Bradley, five grandchildren Cassandra Papajohn, Michael and wife Roxanne Papajohn, Alexis Bradley Johnson, Isaac Cruz and wife Danielle, and Nicholas Papajohn and wife Sarah. He has six great-grandchildren and nieces and nephews scattered across the country. In lieu of flowers, donations to his home church can be made to Christ the King Lutheran Church, 1129 Pat Booker, Universal City TX, 78148 in George's name. Funeral service will be held on Tuesday April 16, 2019 at 1:00 P.M. at Drinkwine Family Chapel with burial to follow at Ft. Logan National Cemetery at 2:15 p.m. (staging area "C") .